Are Jacqueline & Lisa The New BFFs Of B-Town? 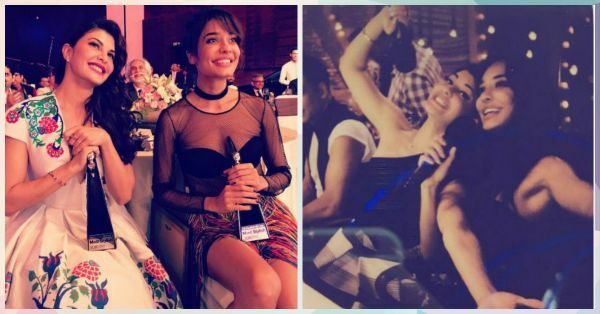 Jacqueline Fernandez and Lisa Haydon have been working with each other on their upcoming film, Housefull 3. And from a look at their Instagram accounts, it seems like they are having the time of their lives while promoting the film! 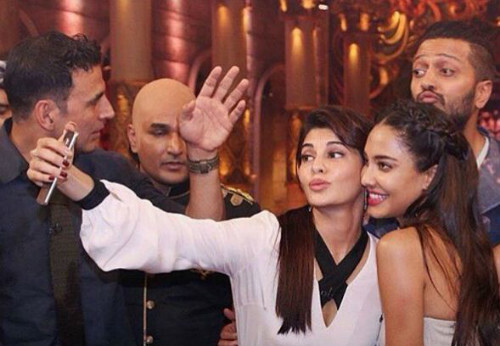 We are pretty sure that they are the new BFFs of B-Town and here are some awesome pictures of the two that prove it! This one is from the sets of “So You Think You Can Dance” - these two are just casually goofing around while trying to get a selfie with Madhuri Dixit! 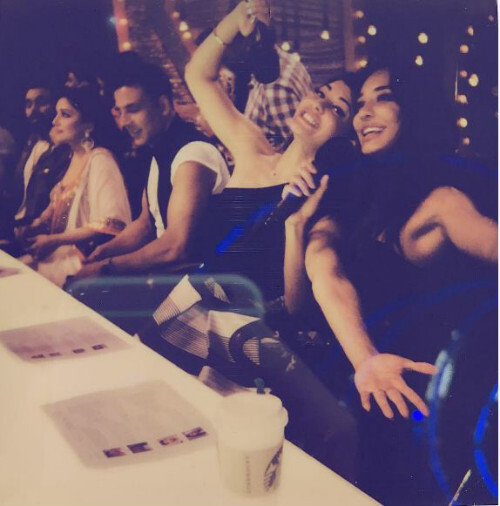 Image: Lisa Haydon on Instagram MUST-READ: Bollywood Besties: These Girls Are Having TOO Much Fun! MUST-READ: Bipasha & Karan’s First TV Appearance As Newly-Weds – We LIKE!